Your thriller-filled evening at the Stratosphere Hotel and Casino kicks off with a captivating performance by a spectacular Michael Jackson impressionist, a tease for what lies ahead. As the performance continues, rock out to your favorite MJ classics — groove to “Billie Jean,” get down to “Beat It” and sing along to “Bad.” In no time, you’ll find yourself in a sea of Michael Jackson fans, all singing and swaying to the same beat as a celebration of one of music’s biggest legends. The show comes alive as the music progresses through a series of all-time favorite songs and iconic dance moves. 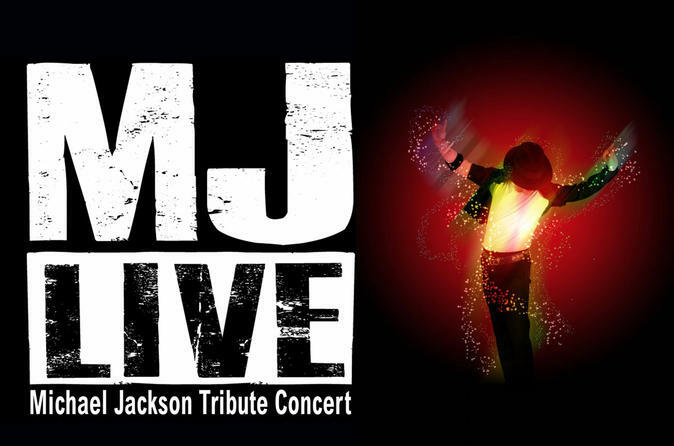 The stellar sound system, high-end lighting and visual effects combined with the tribute artist’s spot-on impersonations make this the closest you’ll find to a real Michael Jackson concert — one that would make the King of Pop himself proud. Plus, the tribute artist’s moonwalk mimicry and falsetto singing are sure to give you chills. You won’t want to miss the surprise ending during “Thriller.” And photos and autographs are available after the show, so stick around. Special Offer - Book now and the price for General Admission tickets is 17% off the local suppliers price - Book Now!